Nearly since the beginning, viewers have asked why I use Jake instead of Grunt for automated builds. I had my reasons, but now it’s time to find out if those reasons are valid. 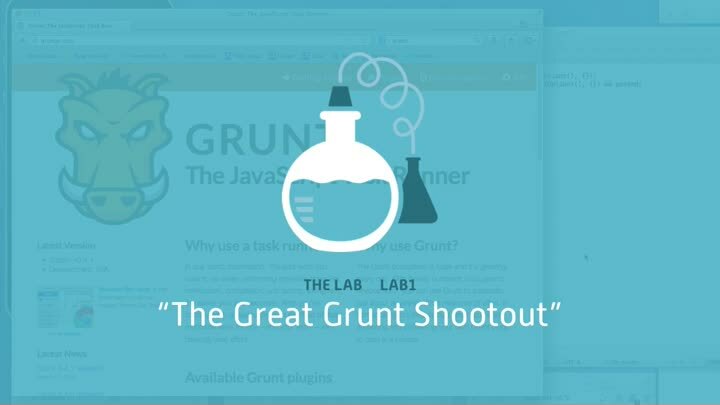 Does Grunt really hurt long-term maintainability in favor of short-term ease-of-use, as I fear? Or am I just paranoid? We’re off to The Lab to find out.